The church of St. Stephan in Mainz – founded by Bishop Willigis in 990, the present structure dating back to the 12th century – was heavily damaged by bombing 62 years ago today. It was rebuilt in the late 1960s and houses a unique collection of 9 stained glass windows by Marc Chagall. 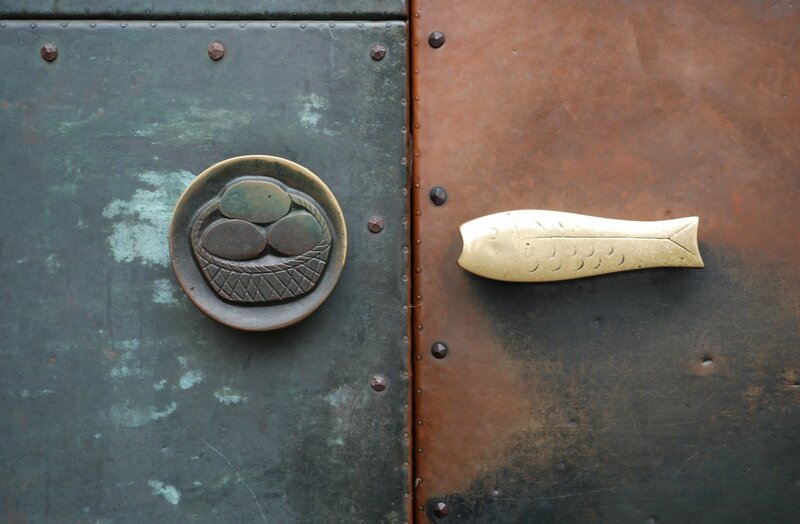 And I love the door handles, one polished by the hands of thousands of visitors. 27 Feb	This entry was published on 27 February, 2007 at 07:08. It’s filed under Altstadt, Architecture, Mainz and tagged Uncategorized. Bookmark the permalink. Follow any comments here with the RSS feed for this post. >What interesting door handles! That is certainly not something one would expect to see on a church…Also, welcome to DP. I’ve only been to Mainz once, but I absolutely loved it, and I hope to see more of it through your eyes! >Welcome to DP. You’ve got some great photos already! I agree, the door handles look really interesting.